In France the 17th century is known as the “Grand Siècle”, the Grand Century. Louis XIV and his court developed a grandiose way of life that meant huge expenses to maintain one’s position. Vaux-le-Vicomte Chateau was built for Nicolas Fouquet who was Louis XIV’s Superintendent of Finance. He spent lavishly to have the most extraordinary castle of the time, years before Louis XIV “invented” Versailles. 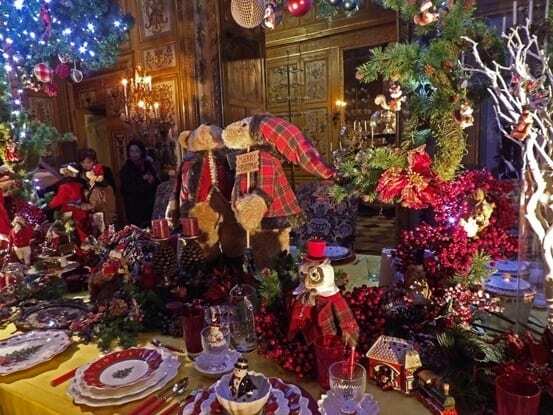 The chateau still is today one of France most beautiful castles and this winter it opens its doors to all the young at heart for a very special Christmas event. Thanks to the chateau’s fairy godmother Alfred Sommier who had made a fortune in sugar trade, bought it in 1875. Once again money flowed in Vaux-le-Vicomte and the chateau and unique French formal gardens were totally restored to its past grandeur. It’s been the family house ever since and now belongs to Alfred’s great-grand nephew Patrice de Vogüé. It actually was a wedding present! It could well have turned out to be a poisoned gift since Patrice de Vogüé didn’t have the financial means to maintain the estate. Selling the family heritage was out of the question and Patrice de Vogüé took up the challenge. In 1968 he decided to open the castle to the public. In those years it was already common practice in the UK, but in France aristocrats wouldn’t even contemplate the idea! Patrice de Vogüé’s decision was a big scandal in the family but he stood firm. The rest of the story has proven him right. 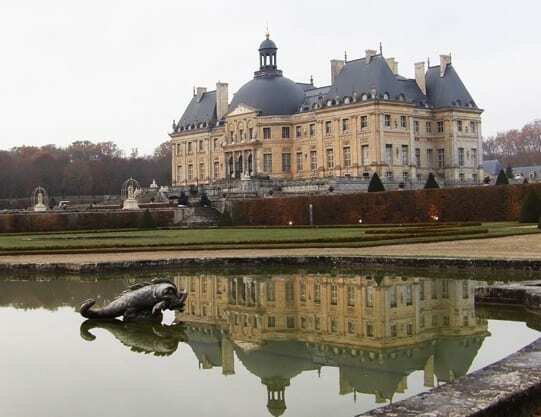 Today Vaux-le-Vicomte not only is the largest private property in France classified as Historical Monument it also is a successful company able to provide the huge amount of money needed to maintain it (Euros 1,3 millions each year). Today Patrice de Vogüé’s three sons run the domain together, but he still oversees the life of his beloved chateau. Being a family house since its renovation in the 19th century all the chateau’s rooms have been beautifully refurbished with period furniture, tapestries, bronzes, paintings, statues and many works of art. 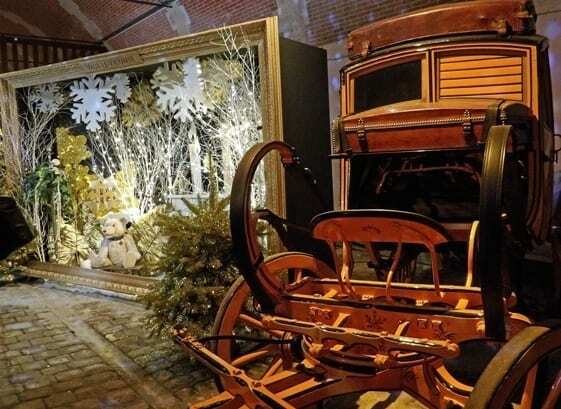 There are no fences or ropes to prevent you from moving around and this gives you the feeling to be a guest visiting friends rather than being mere tourists in a museum. In each room real fires are lit in the magnificent marble fireplaces and light scents of vanilla, chocolate, cinnamon, caramel… wrap you in a warm Christmas atmosphere. 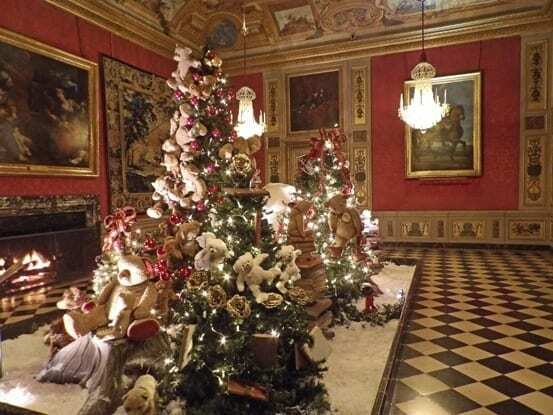 This year vintage toys have invaded the chateau: ancient teddy bears, train sets, a marionette theatre, dolls, a big Nativity scene with beautifully dressed characters… each room has its own thematic. 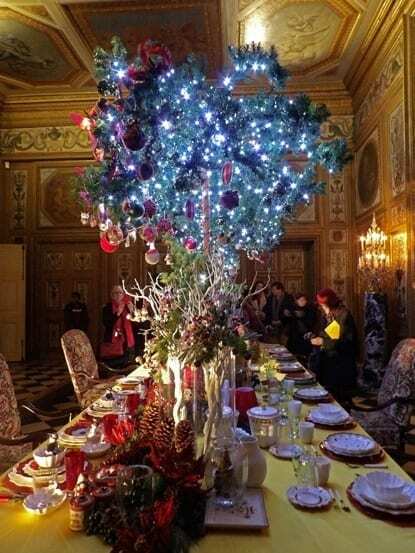 In the dining room a magnificent festive table has been set and in the iconic chateau’s grand lounge a 10-meter high air-balloon adorned with the emblems of Nicolas Fouquet floats over a forest of snow laden Christmas trees where big bears ride a sleigh. 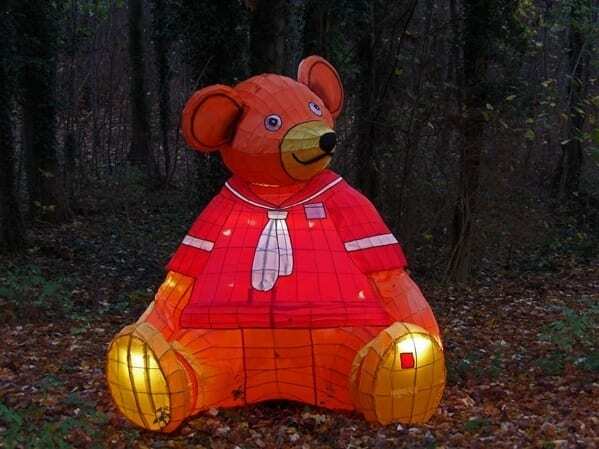 At dusk the park is turned into a fantasy world where 60 giant lantern-toys show the way to the most dauntless children. Of course kids are the life of the party. They will be given small presents as well as pieces of gingerbread. 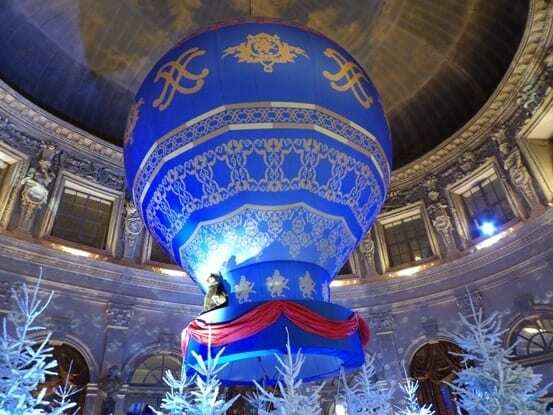 In return each child coming to Vaux-le-Vicomte during the Christmas festivities is asked to bring one of his forgotten toy that will be collected by the Red Cross. On Sunday 6 January 2019 underprivileged children and their families will be able to visit the chateau for free and go back home with one of these toys. 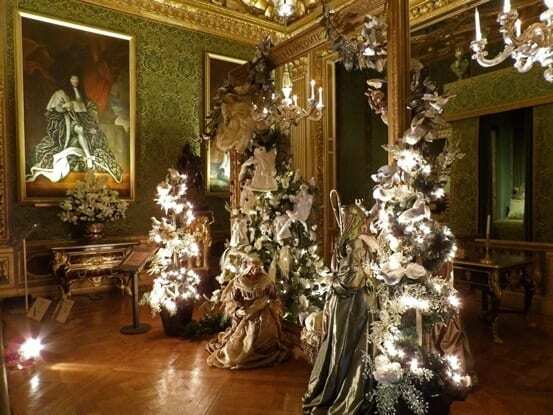 Vaux-le-Vicomte celebrates Christmas from 24 November 2018 till 6 January 2019 from Wednesdays to Sundays. 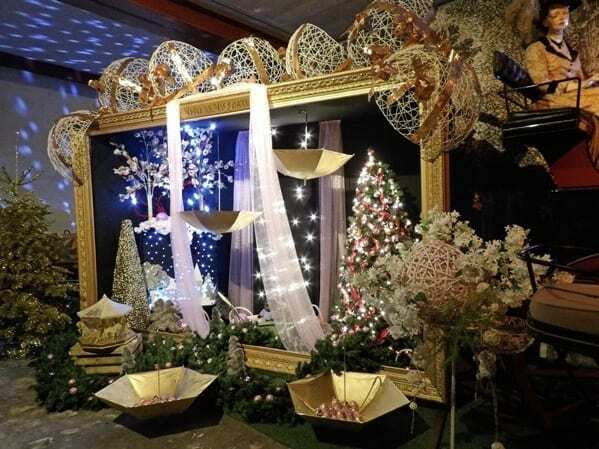 It will be open every day during Christmas holidays except on Christmas day and New Year day.